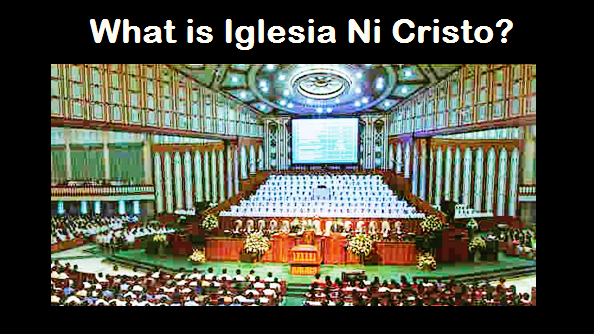 THE IGLESIA NI CRISTO: "Silent No More" is now SILENT! IT’S been 14 days since we published our first article regarding Schutzengel Telecom, the telecom business established by Angel and Marc. 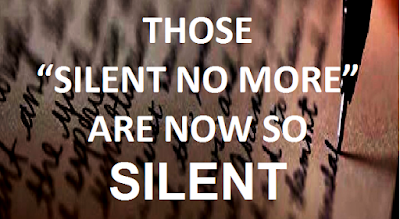 Full two weeks passed and we never hear anything from the “Silent no more” group. 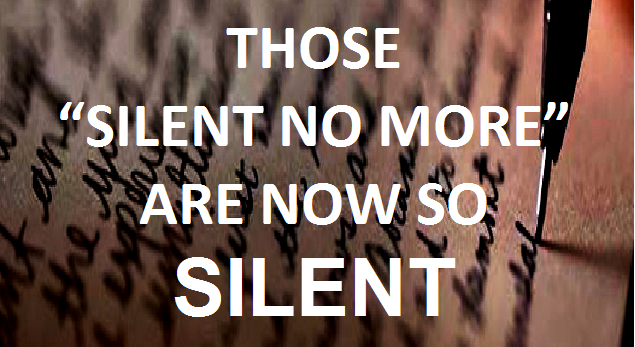 Indeed, the “Silent no more group” is now very silent regarding this issue. From this day. Let us count the days the “Sient No more” group is so silent about the issue of Schutzengel Telecom. This series we launched last July 25, 2016 with our first article entitled “Wjat is RA 9867?” is called “Know the Whole Truth” because it discuss not only the Schutzengel Telecom issue, but the whole story behind the rebellion of the Fallen Angels against the CHURCH ADMINISTRATION. Watch out for more REVELATIONS. Eksaktong 14 na araw ang lumilipas mula nang i-post namin ang unang artikulo tungkol sa Schutzengel Telecom, ang negosyong itinatag nina Angel at Marc. Dalawang bong lingo na ang lumipas subalit wala tayong narinig na anuman mula sa grupo ng mga “Silent no more”. Tunay na ang grupo ng “Silent no more” ay ngayon ay “Silent” na tungkol sa isyung ito. Mula sa araw na ito ay bilangin natin ang pagtahimik na ito na sa isyu ng Schutzengel Telecom ng grupo ng mga naninira laban sa IGLESIA. Ang serye na ito na ating sinimulan noong July 25, 2016 sa pamamagitan ng ating unang artikulo na “What is RA 9857” ay tinatawag na “Know the Whole Truth” sapagkat tumatalakay ito hindi lamang tungkol sa isyu ng Schutzengel Telecom kundi sa buong istorya na nasa likod ng paghihimagsik ng mga Fallen Angels laban sa PAMAMAHALA NG IGLESIA. Abangan ang mga marami pang REBEASYON na darating! BEFORE:These spiritual terrorists were so unruly & recalcitrant. Seems these evil minded people were telling the truth and nothing but the truth! They were even able to deceive naive and weak members (now expelled). NOW: Their personal interests, evil schemes; their black propaganda has been divulged and they will continously be exposed! The truth will always be revealed and will always shine! The INC will remain firmly united & triumphant! The Church Administration (Bro Eduardo V. Manalo) will all the more be radiant lighting the world! The true INC members will remain firm in the Faith; abounding in Love & steadfast in Hope: for our salvation is at hand! Praises and glory be upon our Almighty God! ! !